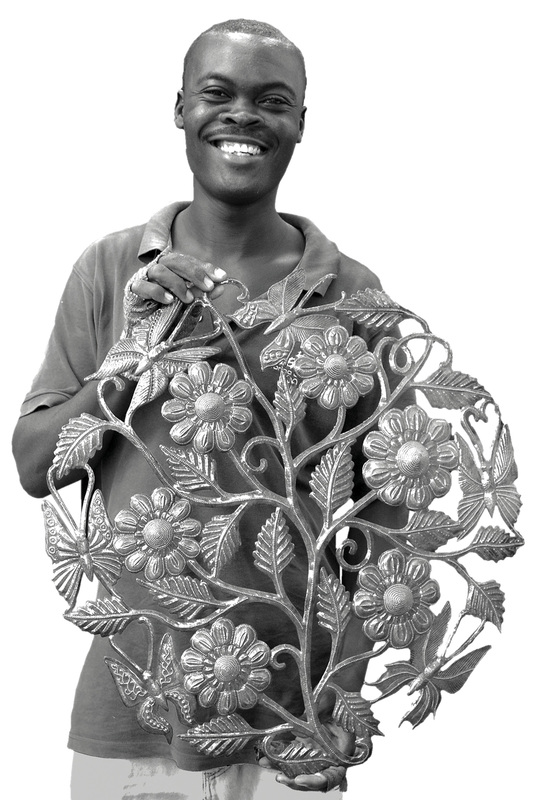 Haitian steel drum sculptures (fer découpé) are fabulous both indoors and out. The most common question is about proper care of the finish. 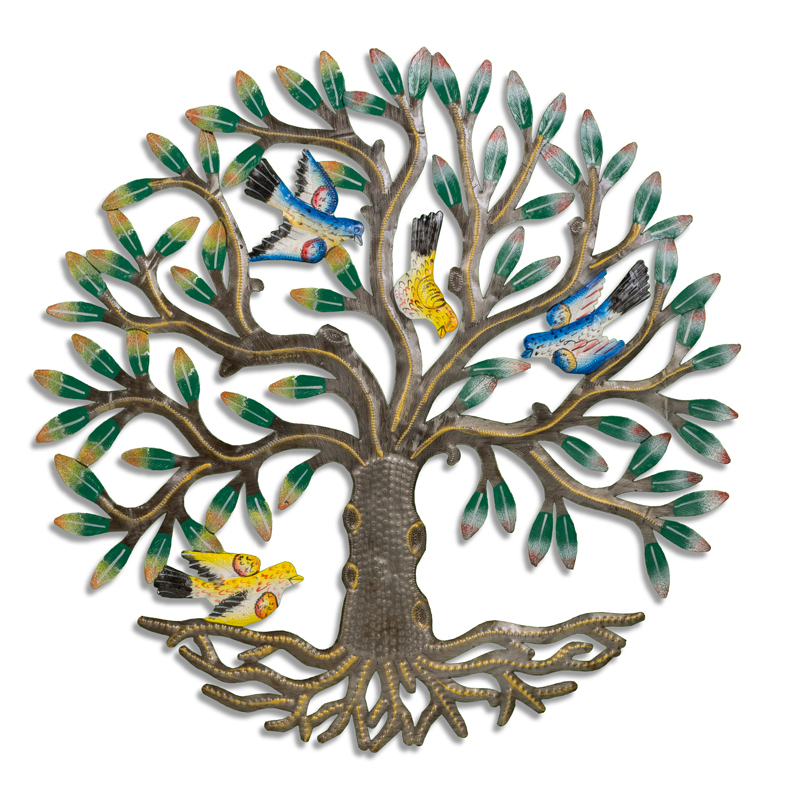 Our metal art pieces have been coated by the artists with a gloss varnish. Pieces displayed in the outdoor elements will generally not remain glossy and over time will take on a flat patina…and they will eventually rust. Rust is not ugly, but will corrode the piece. To deter the corrosion, thoroughly spray it with WD-40® penetrating oil…and do not wipe the spray. You will likely need to reapply once a year. When a piece becomes scratched or worn, you can apply a light spray of a clear varnish made for metal, in either a gloss or satin finish. You should see the scratches disappear immediately. If you have some rust and you want to remove it, first sand with fine sandpaper and then apply the spray clear enamel.